The Gilbert and Jacki Cisneros Foundation works to cultivate a community that supports Latino education, and our aim is to identify and support the key factors that lead to Latino student success. A college-going culture is beginning to take root in Pico Rivera, California, a community that is close to our heart. Jacki’s grandfather was once the mayor of Pico Rivera and it is where she grew up. For most high performing Latino students, attending a selective university is simply not on the landscape. More than half of the highly academically qualified yet low-income Latino students are undermatching, or going to schools that they are overqualified for. On behalf of the Gilbert and Jacki Cisneros Foundation, it is our pleasure to welcome you to our website. Through our foundation, we seek to increase the education level of Hispanic Americans, as well as nurture a community that supports and values the importance of Hispanic education. 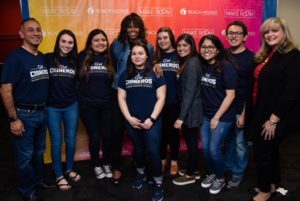 On Wednesday, May 2, 2018, the Cisneros Foundation was honored to take part in the 5th annual College Signing Day, hosted by Former First Lady Michelle Obama as part of her Reach Higher initiative at the Temple’s Liacouras Center, in Philadelphia. Gilbert and Jacki Cisneros joined 18 Cisneros Hispanic Leadership Institute scholars to celebrate thousands of Class of 2018 high school students make a promise to higher education. 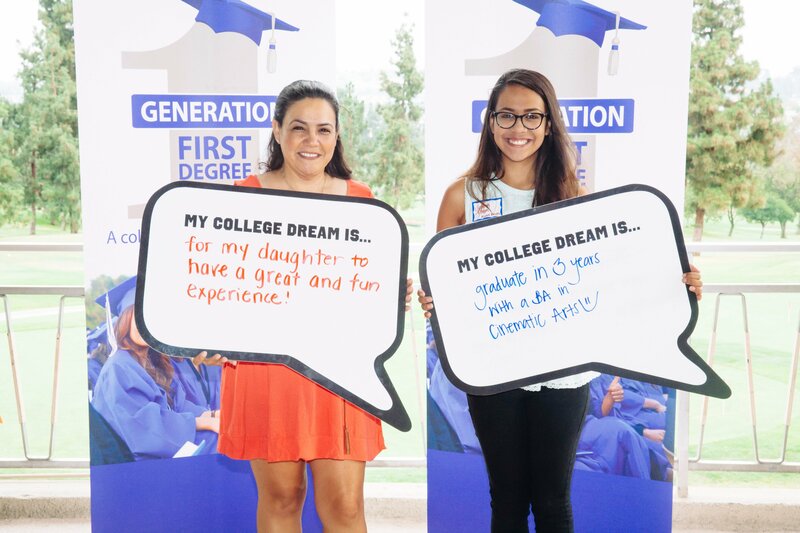 Nationwide, 600,000 students were registered to participate, with events happening in 2,000 locations, including Jacki Cisneros’ Los Angeles-based organization, Generation 1st Degree-Pico Rivera at El Rancho High School, in Pico Rivera, California. Among the Cisneros Hispanic Leadership Institute scholars was Karen Lopez, a Generation 1st-Degree alumni and Better Make Room intern. 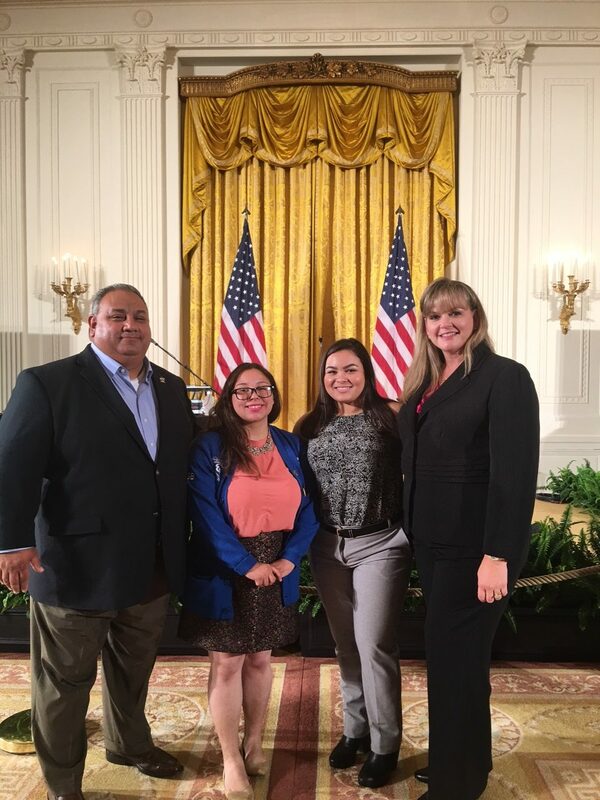 In 2016, Karen was invited to attend the former First Lady’s Reach for the Top: Beating The Odds summit at the White House, and listen to Mrs. Obama speak. 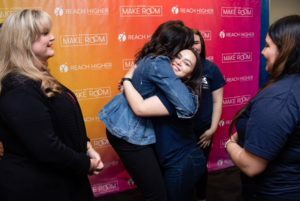 At this year’s College Signing Day, Karen had the opportunity to meet Mrs. Obama during the event, and be in the same room with celebrities including Bradley Cooper, Rebel Wilson, Zendaya, Robert De Niro, Camila Cabello, Questlove, Anthony Mackie and Janelle Monae. Gilbert and Jackie Cisneros are the founders of The Gilbert & Jacki Cisneros Foundation and Generation First Degree-Pico Rivera, both organizations that are committed to improving the level of Hispanic education in the country. 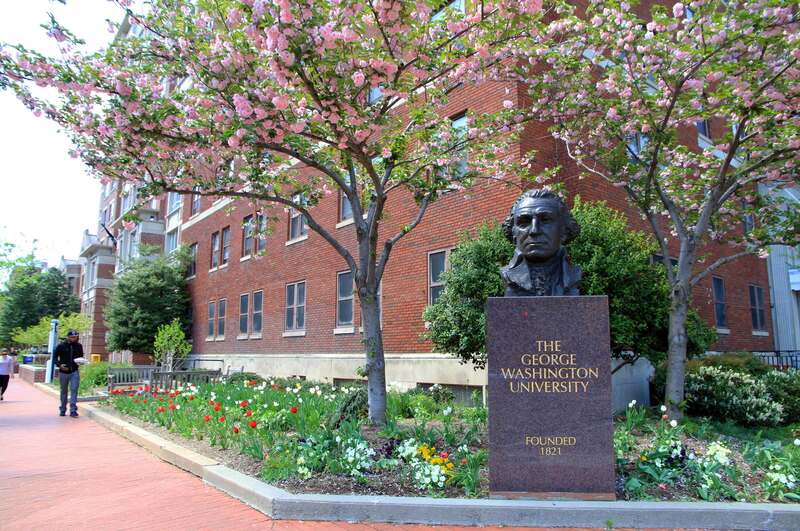 George Washington University alumnus Gilbert Cisneros, BA’ 94, and his wife, Jacki, also established the George Washington University Cisneros Hispanic Leadership Institute to help qualified students attain academic success, build leadership skills, and engage in a long-term commitment to making a difference within the Hispanic community. In 2017, the Cisneros’ were inaugurated into the Better Make Room Advisory Board, chaired by Mrs. Obama. Board members consist of educational luminaries and leaders who share best practices and ideas for improving college access and completion rates for underserved children. For more information about The Gilbert and Jacki Cisneros Foundation, please visit http://cisnerosfoundation.org/. The Gilbert and Jacki Cisneros Foundation, which seeks to create a culture among Hispanic communities where going to college is more than just a possibility but a concrete expectation with the support mechanisms to make it all happen, today announced that is has donated $10,000 to Achievement Institute of Scientific Studies (AISS). A nonprofit based in Santa Ana, Calif., AISS’ mission is to guide high-achieving and potential economically disadvantaged high school students interested in pursing an university education in science, technology, engineering and math (STEM) fields. AISS’s program has been successful because it requires all scholars to develop an educational business plan before they start their senior year of high school. AISS scholars give up two of their summers to invest in their futures and that of their families. Scholars earn up to $500 a year to use towards developing and implementing their plans. These college prep expenses include, college application fees (students are required to apply to 10 universities), SAT/ACT and AP fees, advanced math and science supplies, and deposits for dorms. The Cisneros Foundation’s donation will go towards helping to underwrite these costs. “On behalf of AISS, I would like to thank the Gilbert and Jacki Cisneros Foundation for their support of AISS and for helping to change the lives of our hard working scholars,” said Debbie Wells, Executive Director, Achievement Institute of Scientific Studies. For more information about AISS, please visit http://www.aissfoundation.com/. ©	All rights reserved. Site by six6one Development.